Mexico is a country between the U.S. and Central America that is known for its Pacific and Gulf of Mexico beaches and its diverse landscape of mountains, deserts and jungles. In capital Mexico City, upscale shops, renowned museums and gourmet restaurants cater to modern life. If you’re planning a trip to Mexico, let Via Trailways help you get there! We want your trip to be as stress-free as possible so you can focus on having a relaxing and fun-filled time. 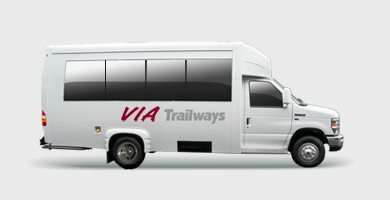 When travelling with Via you’ll be able to relax in one of our comfortable, secure charter buses after a long day of activities and sight-seeing. Relax on the white beaches or explore the stone cliffs in Cabo San Lucas. Explore the historic house museum of the dedicated to the life and work of artist, Frida Kahlo. Taste a variety of fresh produce and foods at one of the most popular traditional markets in Mexico, Mercado de San Cosme.